You know the phrase “only 365 days, half a year, three months” until the GDPR. It is true, GDPR is approaching, but the question is whether you are ready. Have you already taken care of the right technology to deal with new legislation? If you have not yet now is the time to optimize your business. For some companies, we can say that they are on the right track, and the solutions we have implemented for the purpose of paperless operations will be very helpfull to them. In many companies, data is literally scattered. Such documents run the risk and need to be properly protected. With the document system, it’s easier to protect your data (our mDocs document system will impress you). They also gain a more prominent role in the light of the upcoming regulation, as documenting systems are very easy to control documents throughout the organization. 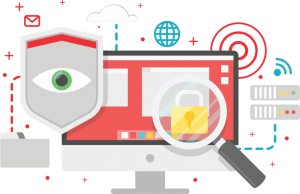 Protecting data held by your organization means protecting your customers and yourself, so do not hesitate to install appropriate technologies to protect all data, not just personal.